With all the different options of linens out there it can be hard to know which ones to pick, or even what they all look like! So we’re breaking it down for you. 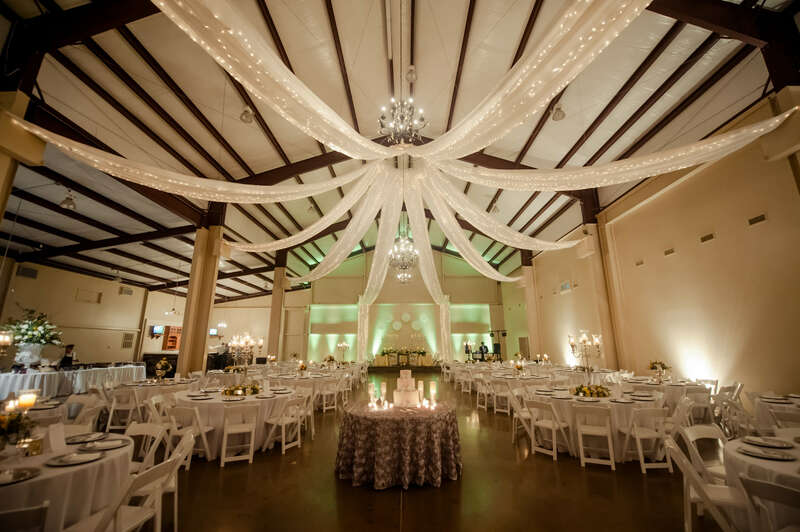 Decor to Adore offers hundreds of different linens in a variety of colors so it’s understandable that a lot of our brides have questions. Each linen can give your space a different feel or add to a theme, so picking the right linen can make a huge difference. Back to basics with polyester. Polyester linens are the most common linen. 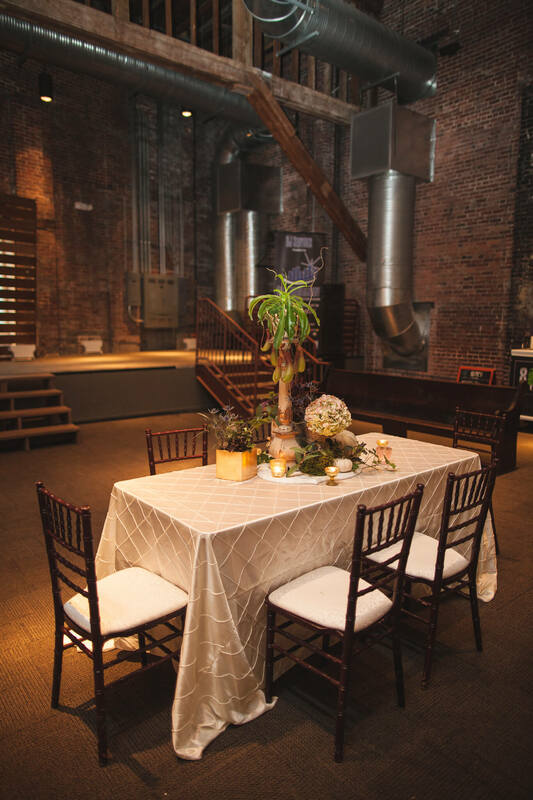 If you’re venue is offering you a black, white, or ivory linen options chances are they’re offering you a polyester linen with a polyester overlay. 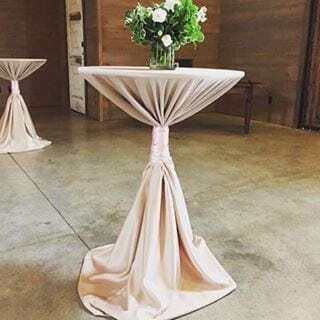 Decor to Adore offers a Premium Polyester, simply meaning our linens are taken care of, they’re a higher quality polyester and you only need one linen to cover your table all the way to the floor. We offer black, white, and ivory options, however, we also offer Fuchsia, Eggplant, Cardinal, Periwinkle and over 20 more color options to suit any needs you may have. Another benefit Decor to Adore has is that all our Polyester linens are also offered as napkins so you can match your room perfectly. 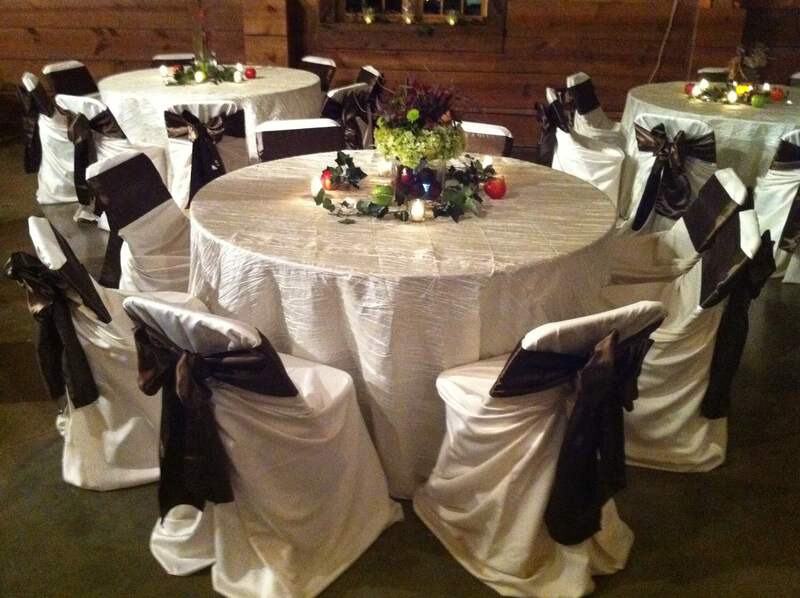 If you’re wanting to create a shiny table look, Satin linens are probably what you’re looking for. As we do in polyester, we offer our Satin linens in over 20 different colors. Satin linens give a very different look to a room than polyester does. 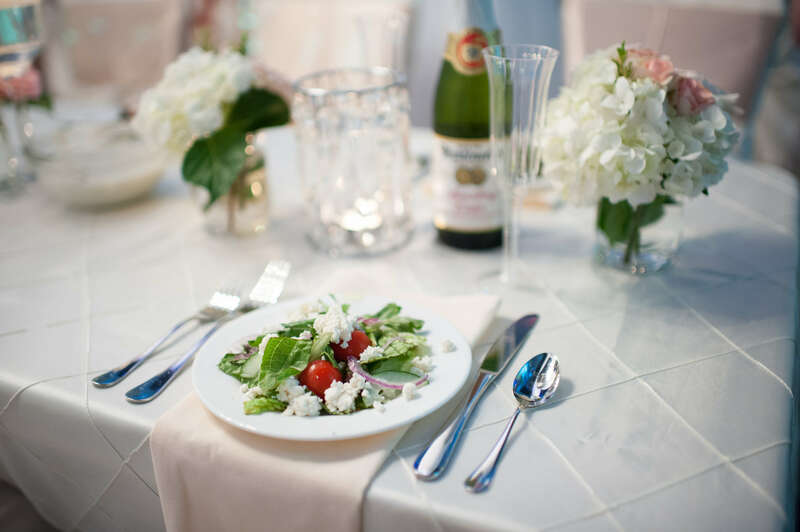 A shinier linen will draw more attention to your tables than a Polyester linen will. Just as the Polyester you will only need one linen to cover the entire table. Lamour Satin is a unique linen. While it offers the same shiny quality as regular Satin, a Lamour Satin is a more dull shine. This linen will still bring attention to your tables but it won’t be as bright and sparkly as a regular Satin. Our lamour satin is offered in over 20 colors and is a floor-length linen. We also offer Lamour Satin as a runner. Anyone at Decor to Adore will tell you we slightly favor our Dupioni linens. 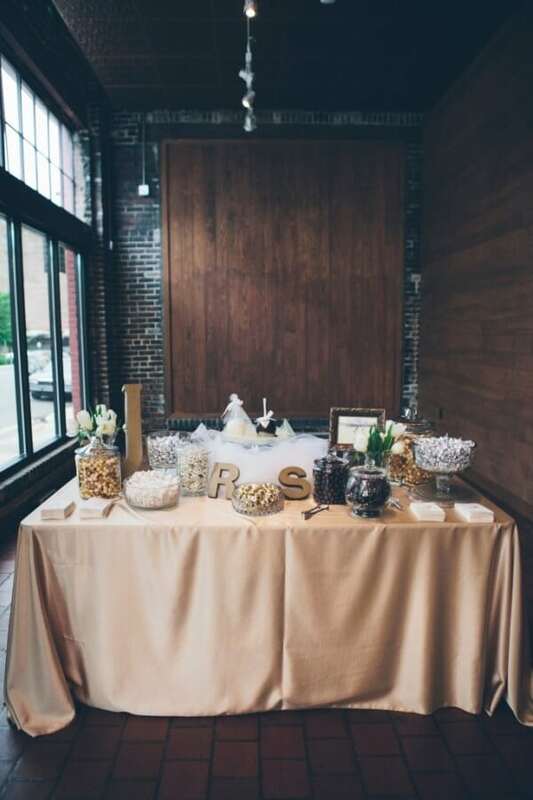 Their unique texture gives such a beautifully simple look to a table. The greatest part about our Dupioni linens is that they’re reversible, meaning you can use either side of the linen on your table. One side is a shiny look and the other side is a matte look. 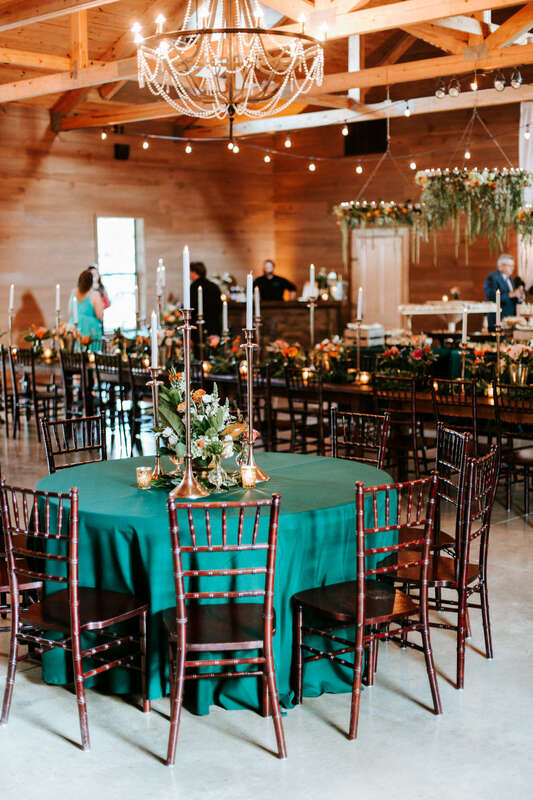 A popular way of using Dupioni linens is using the matte side on the guest seating tables and the shiny side on highboy tables. Just like the rest of our linens Dupioni is a floor-length linen but also as a runner and is available in over 20 different colors including Watermelon, Gold, Caribbean, and Lilac. If you’re looking for a textured linen, then our next two options are for you. A Pintuck linen offers a square stitched pattern throughout the entire linen. This can be used on all your guest tables or as just an accent table such as your cake table, or gift table. 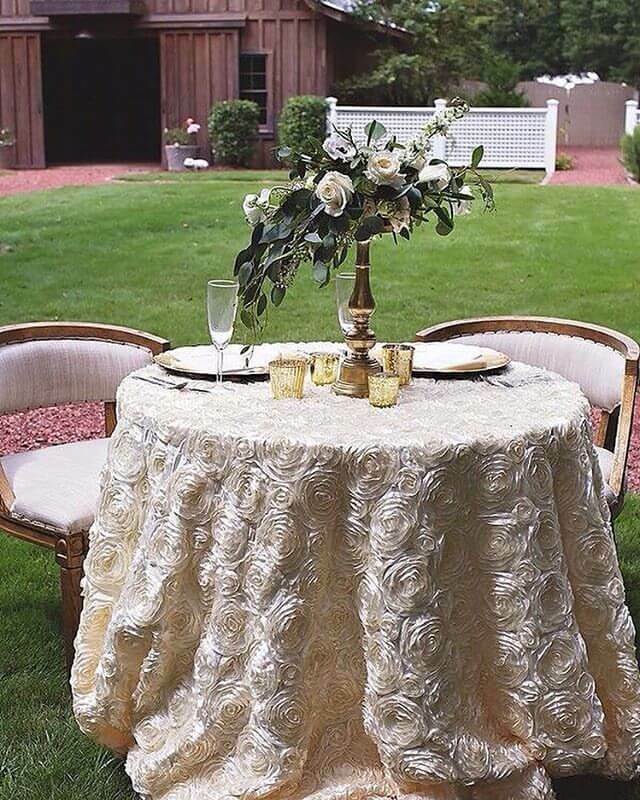 These tables definitely make a beautiful statement and will catch your guest’s eyes at how extraordinary this linen is. Available in over 20 different color options, our Pintuck linen is sure to be a rare piece. Our crinkle linens serve a similar purpose as the Pintuck, but look drastically different. 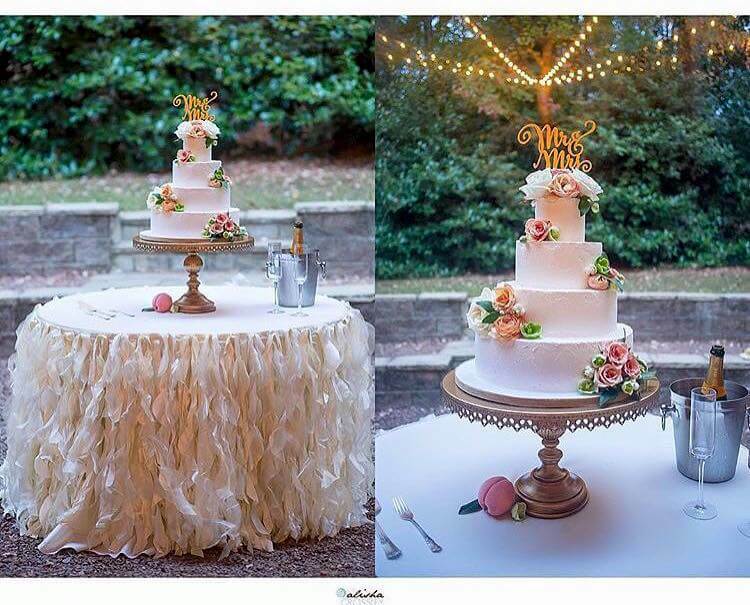 Crinkle linens can be used on every guest table to create a very unique textured look, or they can be used as accent linens to bring attention to your cake table, or a dessert table. We adore the subtle texture a Crinkle linen gives to a table and the fact that this isn’t a linen you’re going to see often. It’s a great way to give your guests an experience they aren’t going to have at most events. Our Crinkle linens are available in Tiffany, Rust, Sangria and over 20 other colors! 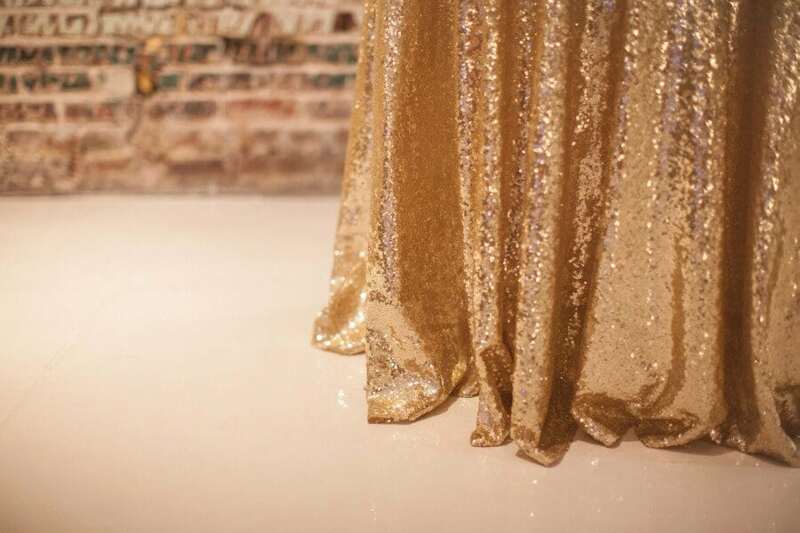 There are thousands of different sequin linens out there. 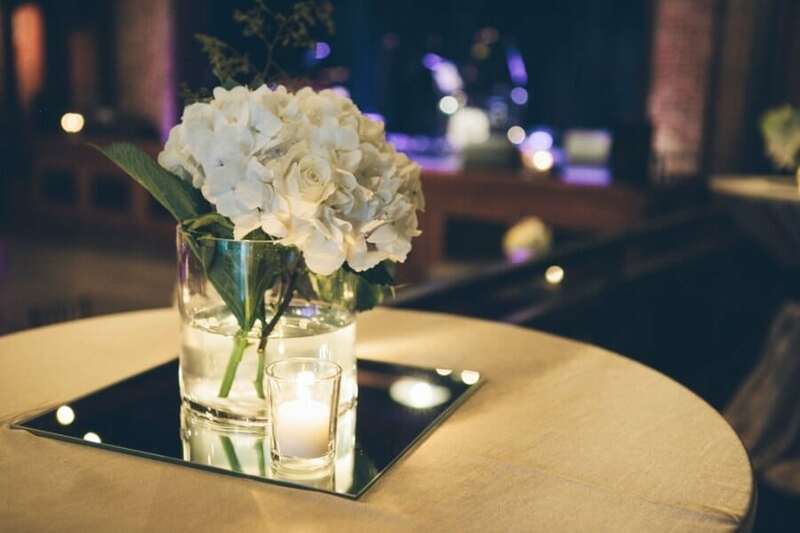 It’s a growing trend that’s dazzling the event world. So what makes our Sequin’s different? Well first, the care that’s put into them. We make sure our Sequins don’t fall off or have missing patches like some so easily can have. They’re delicate linens that need to be treated well. 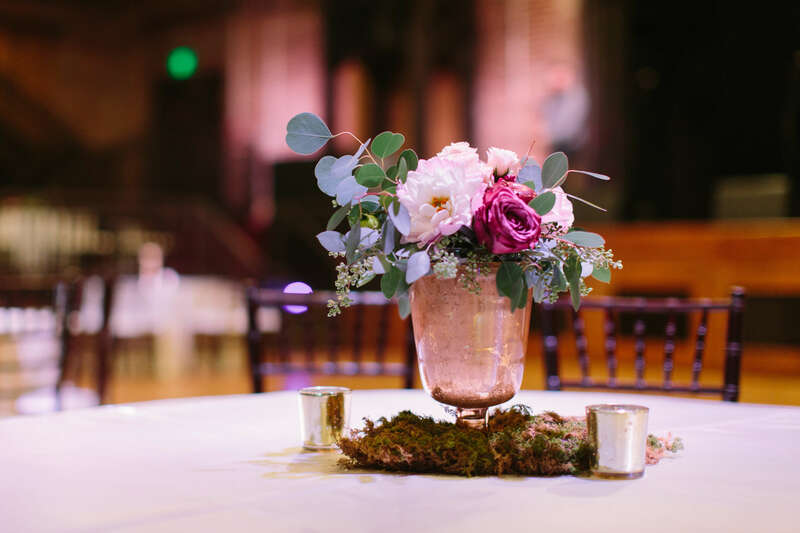 We also offer a large variety of colors in our sequin linens and we offer them in a runner, if you’re looking for just a little sparkle. 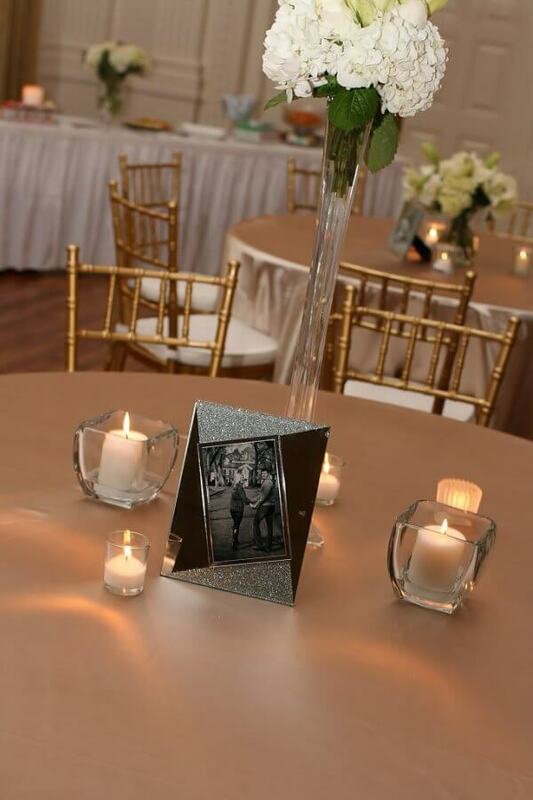 We adore our Sequin linens and we know you will too! Our Rosey linens offer a certain elegance that many linens can’t provide. They’re so simple yet breathtaking and add so much to a table. 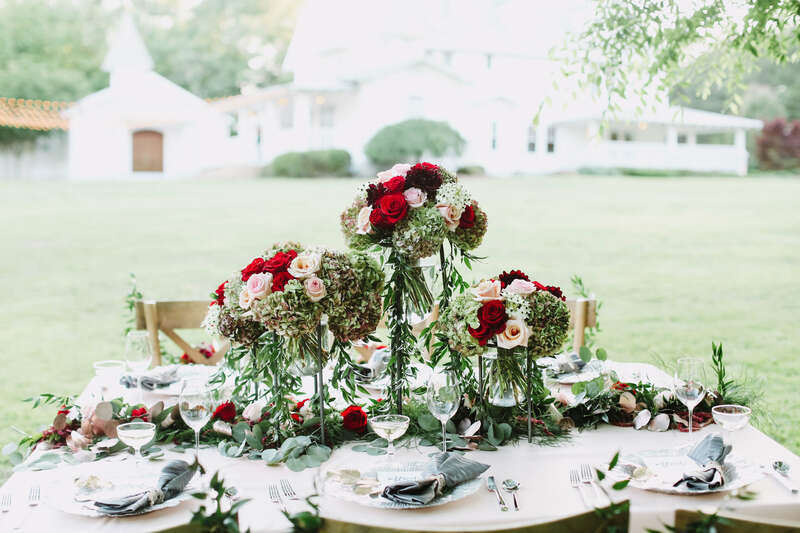 We offer our Rosey linens in a runner as well as a full size linen so it can easily be used on guest tables or as an accent on a sweetheart table or cake table. 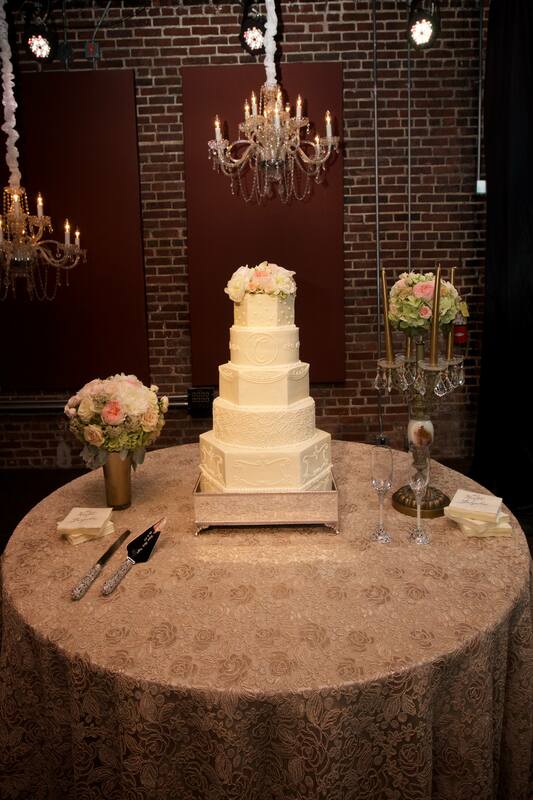 The texture of our Rosey linens complements a textured cake beautifully! One of our favorite categories are our ever growing collection of specialty linens! 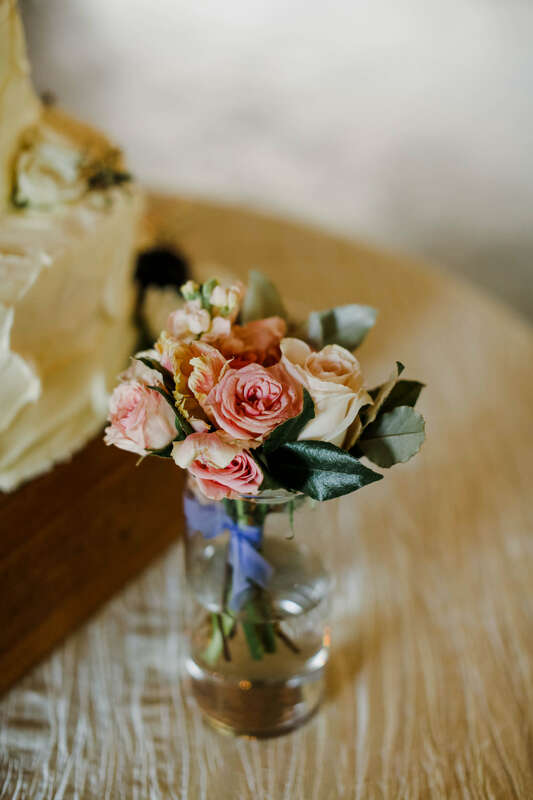 We’re constantly adding more to our inventory and we love getting to share these new items with our brides. 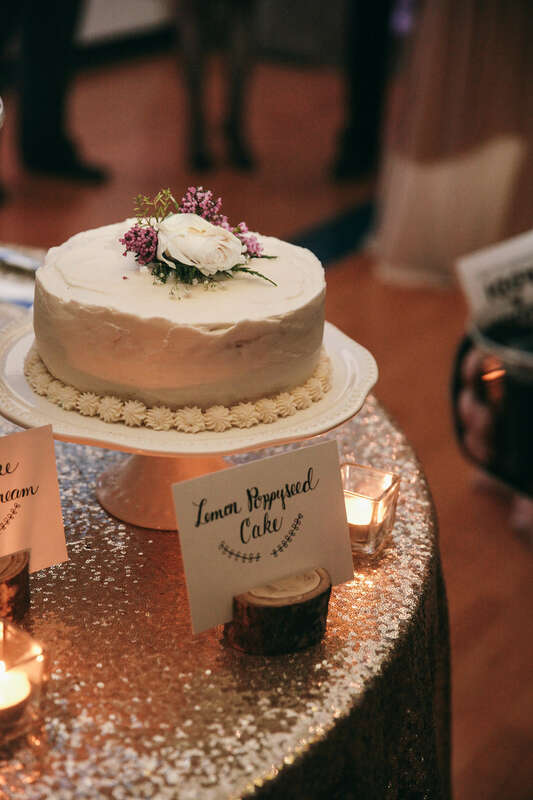 These linens are absolutely perfect for cake tables or sweetheart tables. They’re stunningly beautiful linens that you just aren’t going to find else where. So here’s what’s new in our colorful collection of Specialty Linens! Photos online are a great place to start when looking into your linen options. But there is nothing like an seeing the colors and textures in person. When you’re ready, call or email us to setup a meeting.